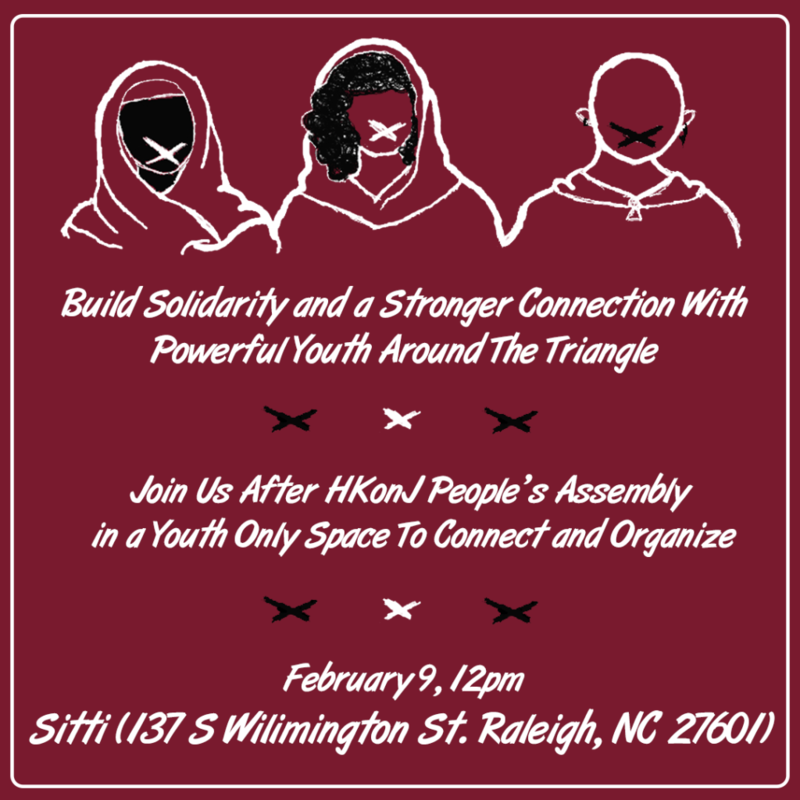 Note: If you’d like to march with the Youth Contingent for HKonJ, we’ll be meeting at 8:15am at the LGBT Center of Raleigh! Get warmed up after a long march and learn how to take action in your schools and in the streets. We’ll have food from Sitti, music, and drinks! Tired of police violence, deportations, unfair suspensions, homophobia, transphobia, and other injustices? Get involved in youth-led movements! There’s something we all can do to protect each other. The people united will never be defeated! 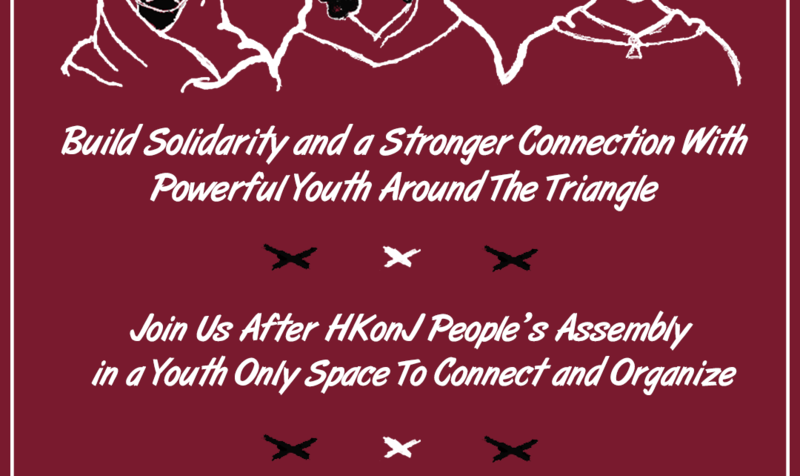 Join a youth-only space to connect with youth organizations across issues! Tens of thousands of people attend the #MoralMarch every year, so it’s up to us to keep the momentum alive. We’ll also strategize about events leading to Elections 2020. This space centers the voices and experiences of young people; we welcome all high school and college students and youth under the age of 30. Adult allies can come and caucus with one another. This is a FREE event organized by the Youth Organizing Institute. Email beau@empoweryouthnc.org with any questions or concerns.